Reflections of a Grady Doctor: Sign language. "Hey Mom? This is Isaiah-sign-language for 'I love you all the way to Pluto' -- okay?" "Really to infinity, but you know what I mean." Yes. I think Pluto may actually reside in Infinity. So cute!! 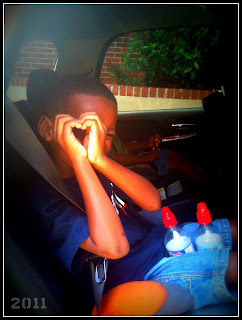 My 8 and 4 year old say I love you to the infinity power, LOL.